The Tarot card for today is the Two of Wands. 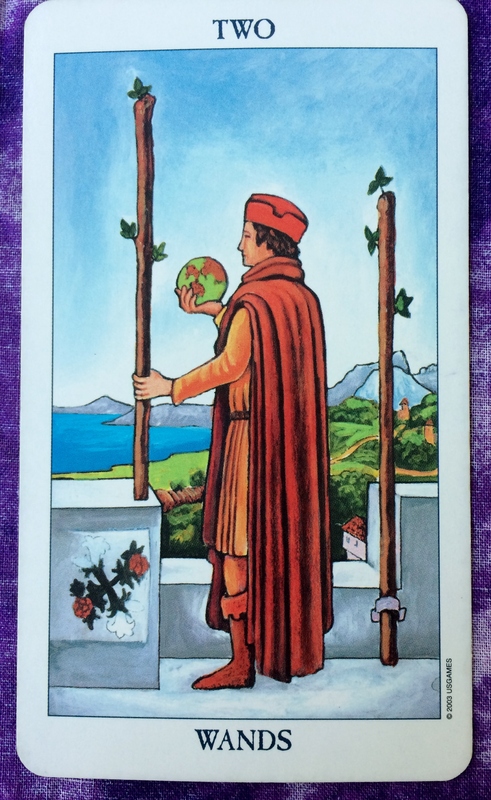 Just like the person shown on the card, the world is in your hands — just as long as you control your energy and keep it in balance. 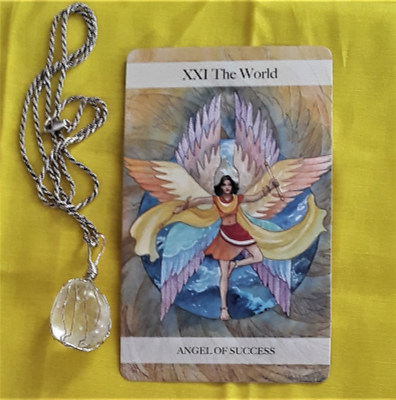 So when it comes to work projects, home projects, and other projects that you care passionately about, direct your energy in a definite direction instead of being scattered. Another person may be there to help you with this project. Make sure that the work is divided equally between you, that this is a true collaboration, and that one person is not bossing the other one around. This may apply to romantic relationships, as well. Have an energetically balanced day.